HOME DEFENSE HIDDEN IN PLAIN SIGHT. Designed with sophisticated versatility and convenience in mind, the Monroe C Table with Concealed Drawer is a secure and reliable alternate to your tradition laptop accent table. 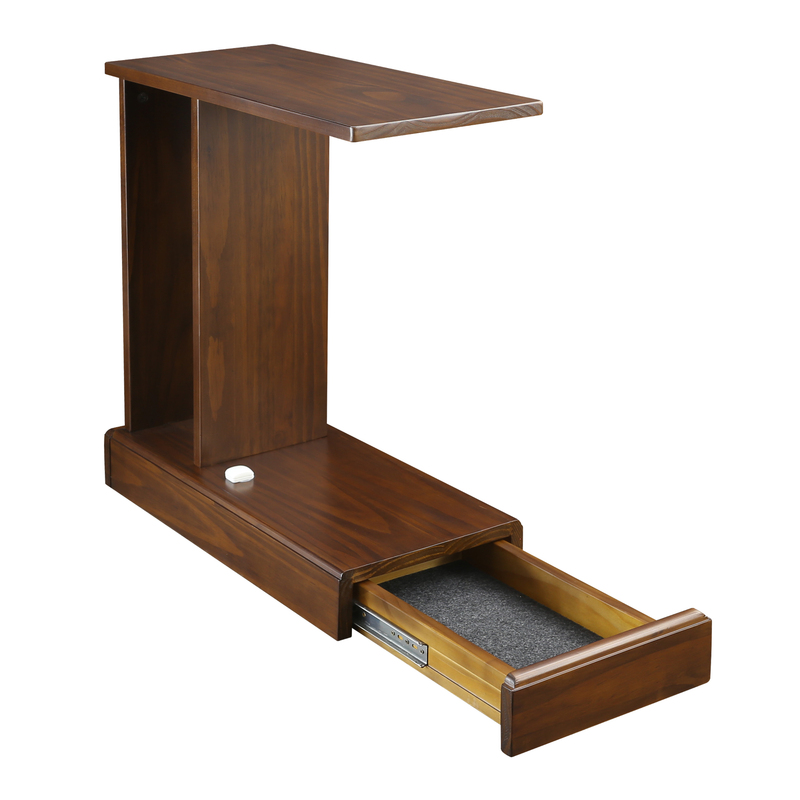 The smooth-gliding concealed compartment is located at the base of the C Table and comes equipped with a Secured Magnetic Locking Device and Key that is magnetically released with just a swipe for instant access. Its C shape is perfect for computer sessions on the couch, sofa side meals, and for showcasing decor. 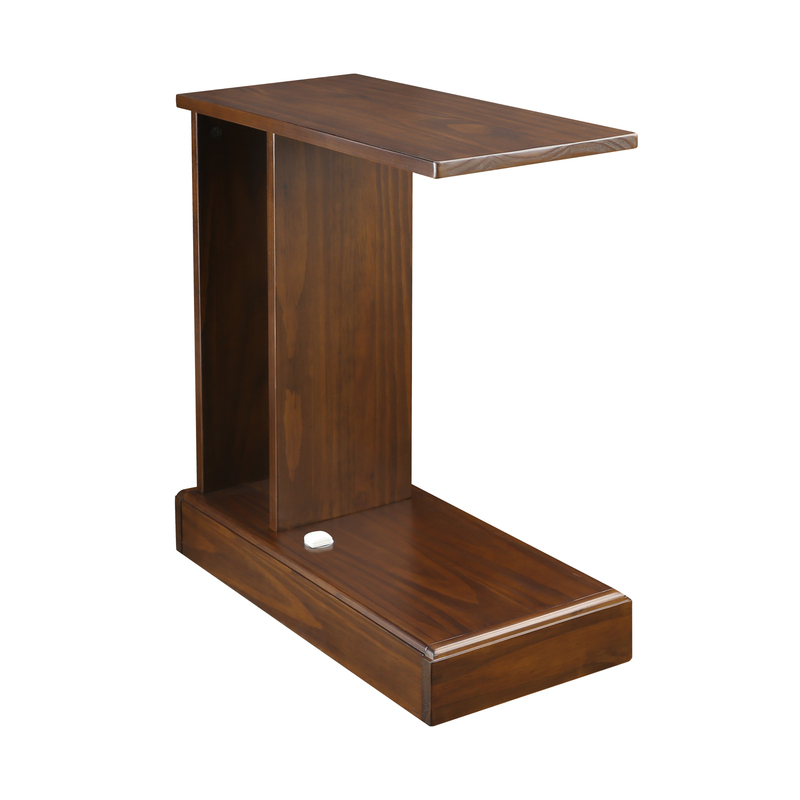 The convenient side shelf is an ideal place to store books, magazines, and other essentials. 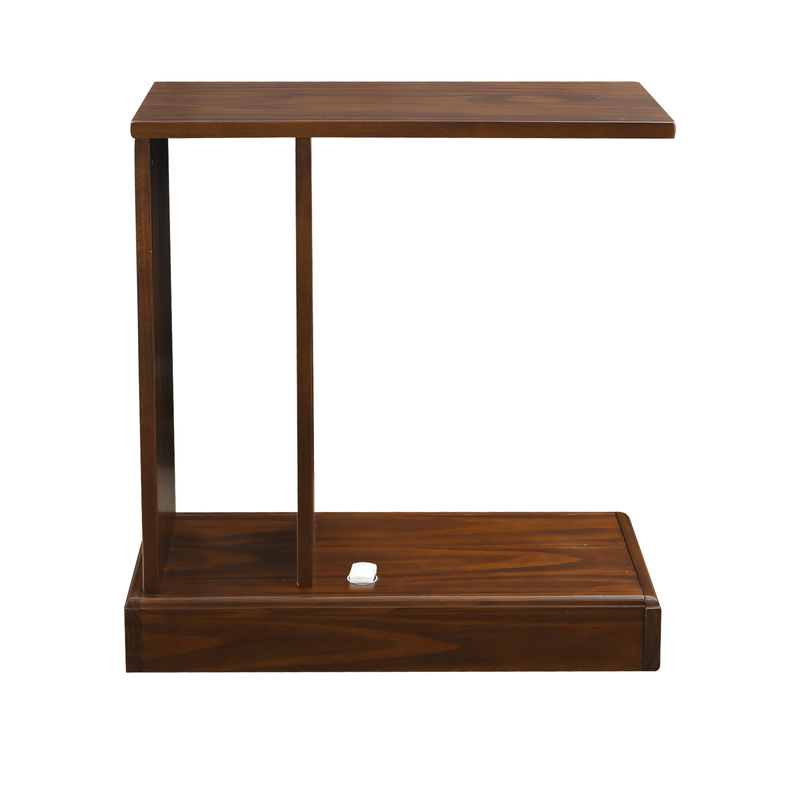 The rich mocha design gives this accent table a stylish appeal that hides valuables in plain sight. 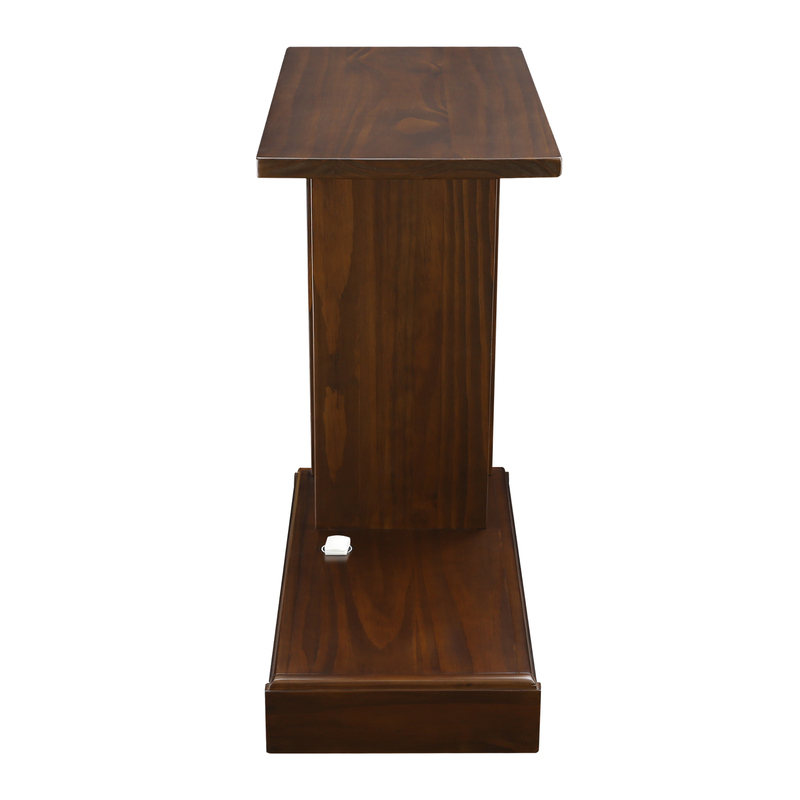 Constructed from Solid Wood for lasting beauty and longevity. Ideal for those who value safekeeping for valuables and privacy. 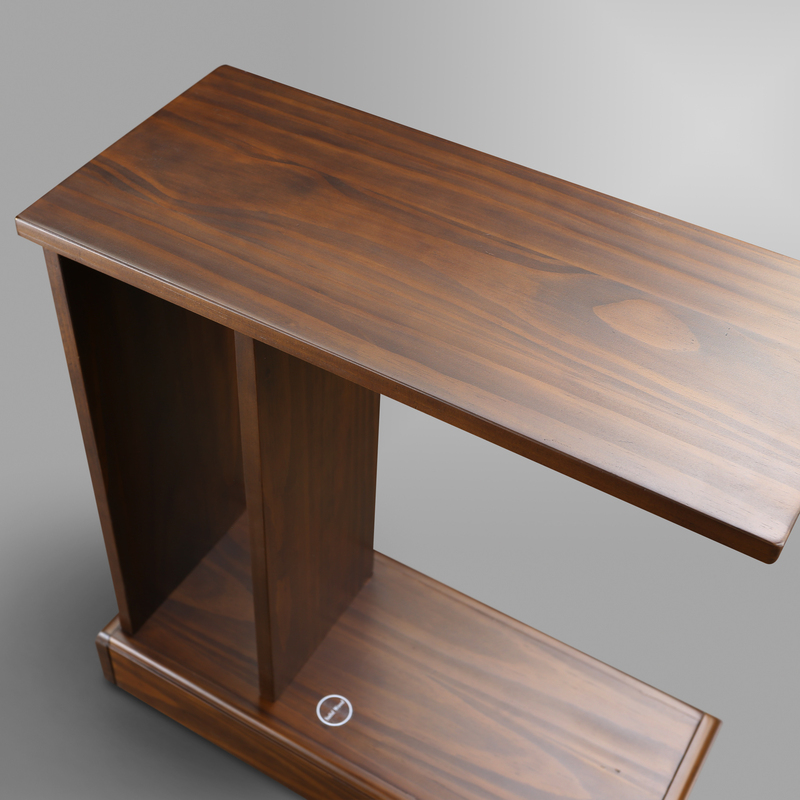 Designed with sophisticated versatility and convenience in mind, the Monroe C Table with Concealed Drawer is a secure and reliable alternate to your tradition laptop accent table. 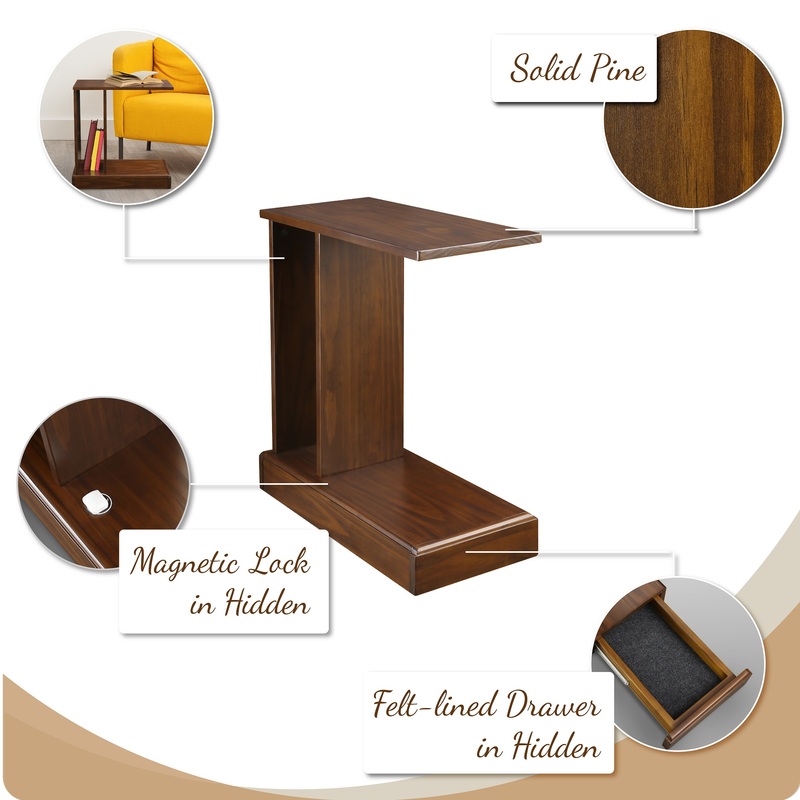 The smooth-gliding concealed compartment is located at the base of the C Table and comes equipped with a Secured Magnetic Locking Device and Key that is magnetically released with just a swipe for instant access. Its C shape is perfect for computer sessions on the couch, sofa side meals, and for showcasing decor. 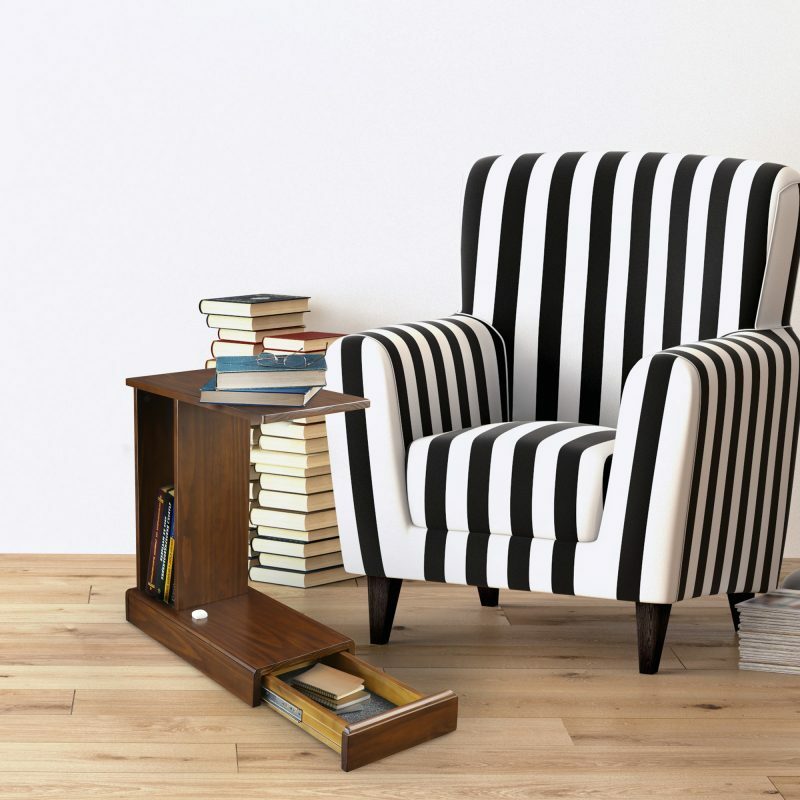 The convenient side shelf is an ideal place to store books, magazines, and other essentials. 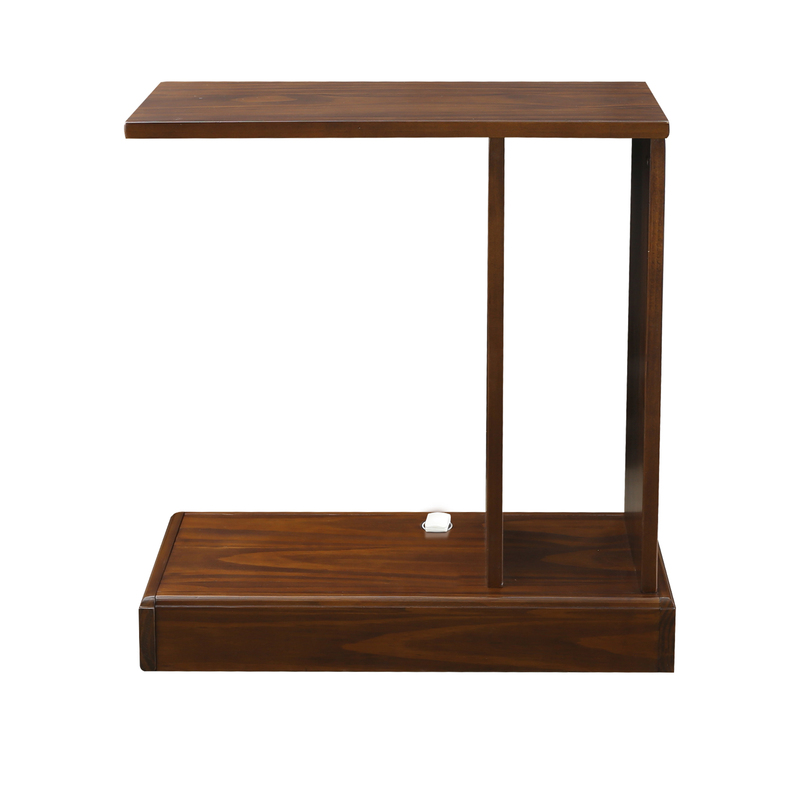 The rich mocha design gives this accent table a stylish appeal that hides valuables in plain sight. 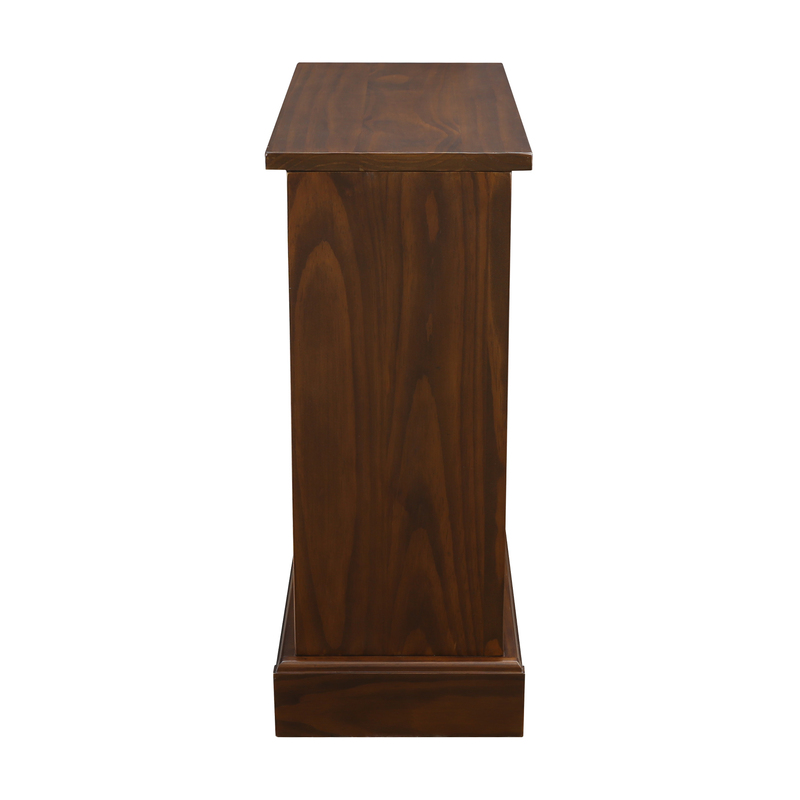 Constructed from Solid Wood for lasting beauty and longevity. Ideal for those who value safekeeping for valuables and privacy. 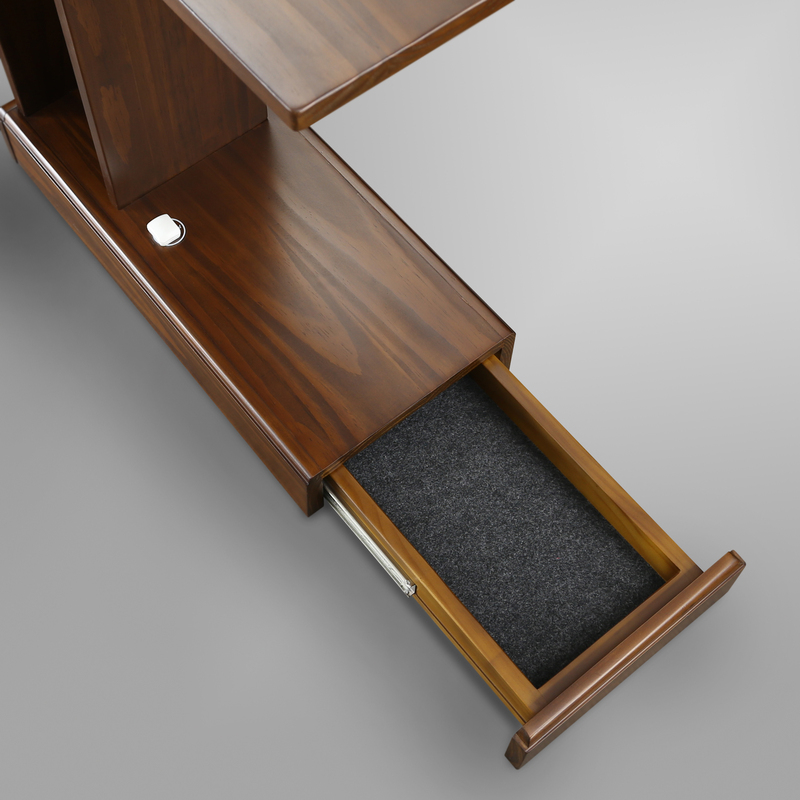 Sophisticated C Table Design hides valuables in plain sight. Functional C shape is perfect for laptops, meals on the couch, and decor.